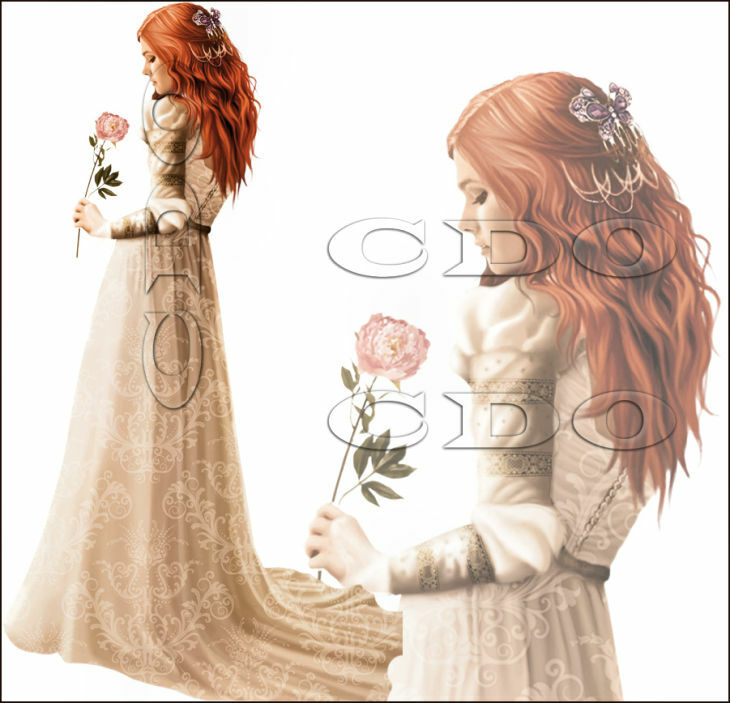 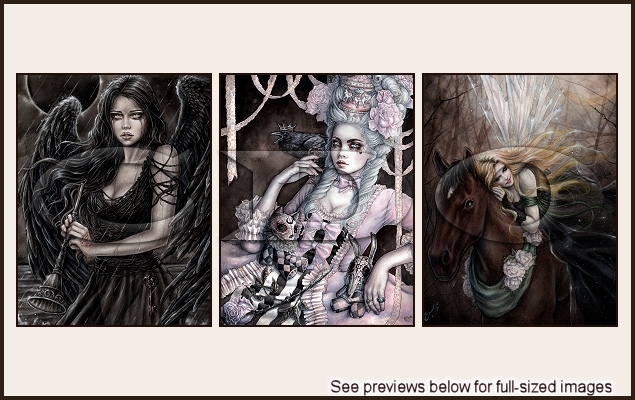 NEW Dirk Richter, Enys Guerrero and Sarah Richter! 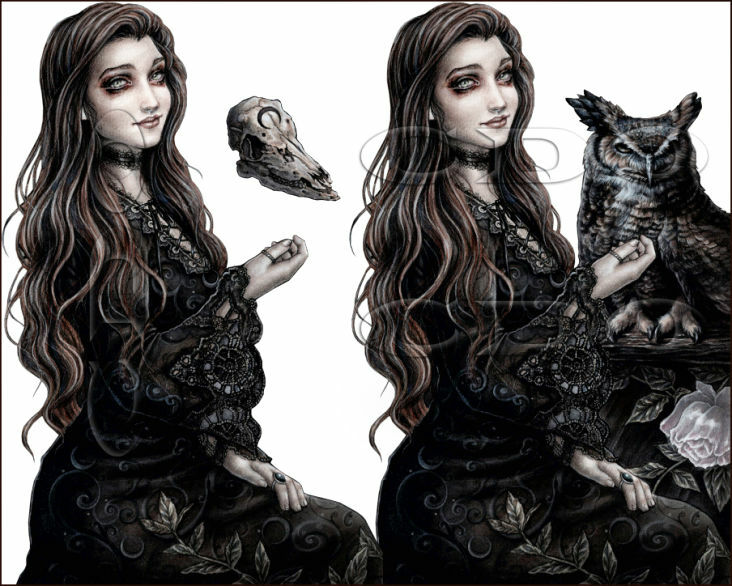 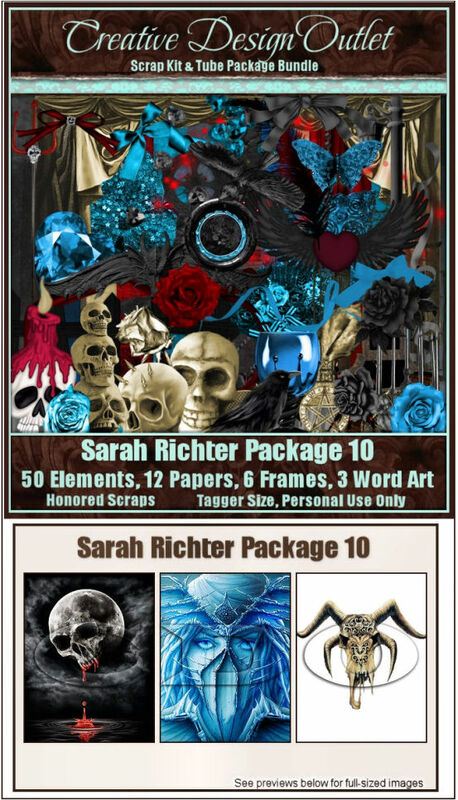 We have some BRAND NEW tubes from Dirk Richter, Enys Guerrero & Sarah Richter out today with matching scrap kits from Chaos Priestess, Foxy Designz & Honored Scraps! 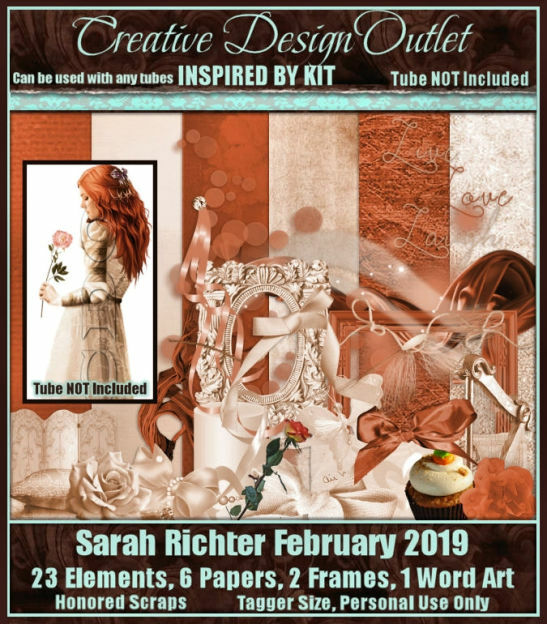 So from now until 10pm PST 28th February 2019 just spend $10 or more (AFTER any discounts) on any of their tubes or bundle kits and we will email you your free bonus tube automatically during CDO business hours, you do not even need to email in for them! 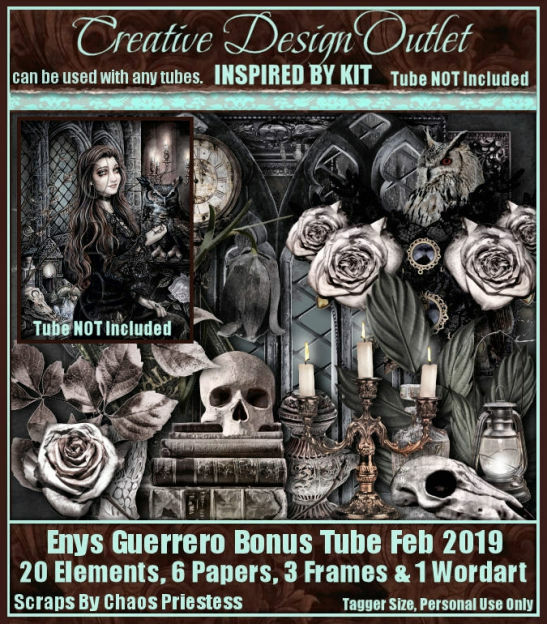 Enys Guerrero Bonus Tube February 2019. 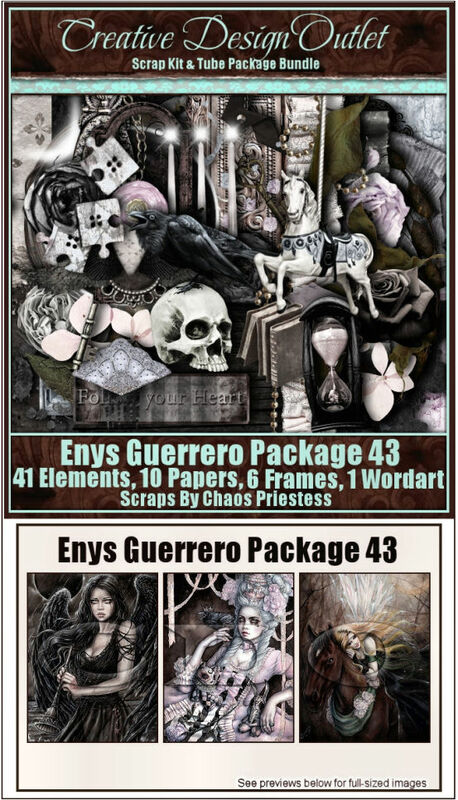 And there’s also 2 ‘Inspired By’ scrap kits that match these bonus tubes from Honored Scraps & Chaos Priestess too! 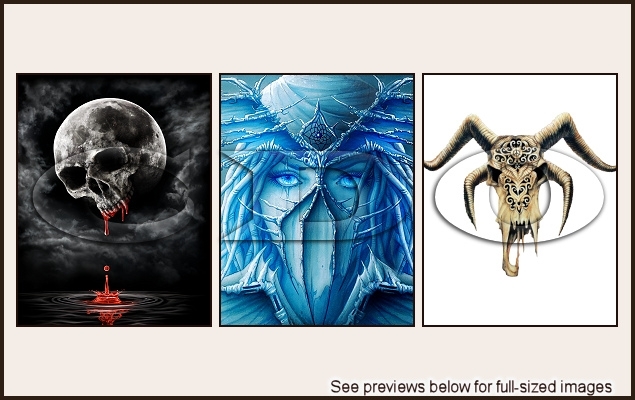 Don’t forget’IB’ kits can be used with any artists tubes!